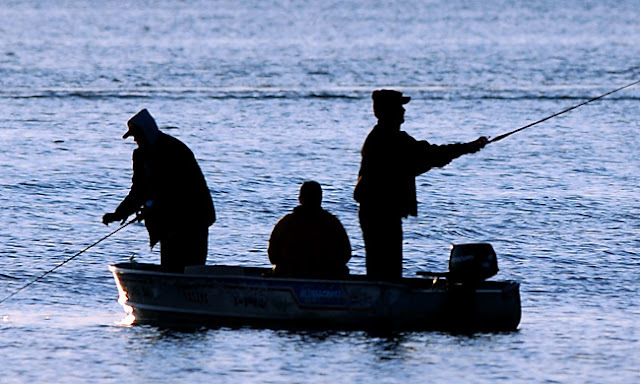 As you may have heard, the governor has picked Park Rapids to open fishing season this year. Since Long Lake Area Association is part of COLA, we have been asked to provide volunteers. Sharon Natzel is one of the organizers and they need our support. There are several two hour positions for fun, educational activities designed for kids on Friday, May 10, 2013, at the Governor's Fishing Opener Community Picnic, plus many other opportunities during the media focused celebration of our area through the weekend. Come join in the fun! Be sure to tell them that you are a member of Long Lake Area Association. Just follow the links below to learn more. Given everyone in the north country is "hunkered" down to wait out this latest storm, we are sharing a link to a short story written by Will Weaver. For those who don't know, Will is a local author with several published books. He does a great job of describing our area and what it is like to live here. This story was published in the Minnesota Conservation Volunteer Magazine. In the wake of a blowdown, landowners see trees in a new light. Follow this link to: Will Weaver's "After the Storm"
If you want to see pictures of the latest snow and how deep it is, check out the webcams and facebook of any of your friends that winter here. The snow depth is impressive. It's a "very, very skeleton first attempt at a blog.... I picked the Park Rapids theme to show off a few of the early northern Minnesota lake brochures I’ve collected over the years." Tom's blog has many samples of the brochures that he is collecting about Park Rapids from Fuller's Tackle Shop to Hamilton's Island. Explore the different entries, you may find something familiar. You can also find the his blog link on the history page for future reference. This way you can check back to see further updates. 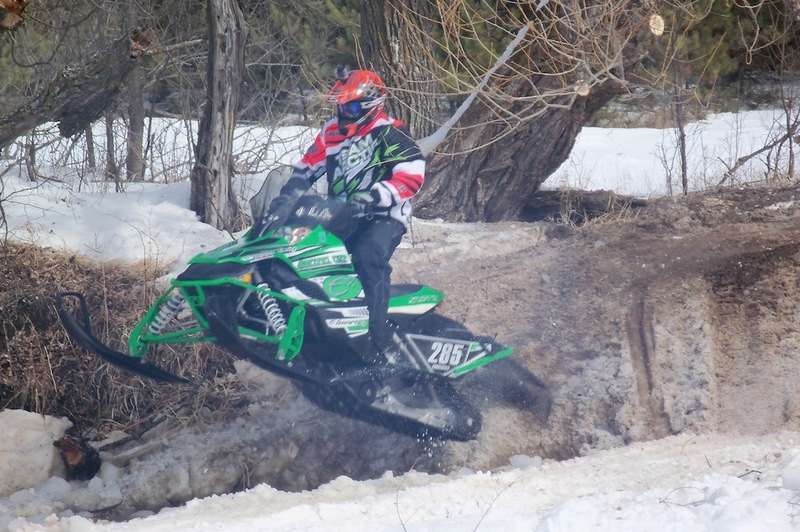 On Saturday, March 2nd, Long Lake tried to provide a soft landing for the United States X-Country Snowmobile Racers after a run around the Hubbard Prairie. 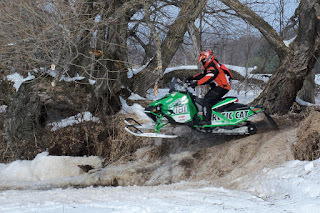 These photos were taken just north of 170th Street, on the east side of Long Lake near the ancient willow tree, where the race route propelled the snowmobiles into the air (depending on the driver's technique for space launch.) 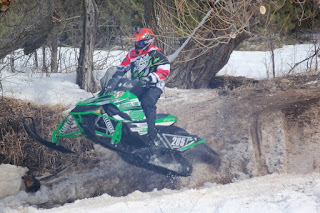 Some slush helped ease the fall back to earth, but got a few helmets wet. A training session on "Low Impact Development Practices" for our lakes and waterways is being offered on Wednesday, March 27, 2013 to staff of the NRCS-Conservation District, government officials and landowners who are installing LID practices like shoreland buffers, rain gardens, and other storm water and erosion control practices. The registration deadline is March 22, 2012.